Happy New Year! This is our 3rd Movement in one year. We launched "The Essential Women's Movement for African American Women" in January 2017 and Virtual Organic Garden Clubs movement in June 2017. Welcome to our 3rd movement, "Mobile Learning Clubs." Our goals are to combine all 3 movements into a force to reckon with as we focus on health and business opportunities for everyone. You need to know upfront that this is not an initiative. I am famous for launching initiatives, but many times you abolish initiatives and go on to another initiative. And it's certainly not a Non-Profit, where all you do is end up begging for money. 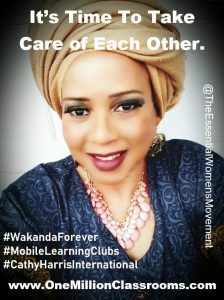 Also don't allow others to use these MobileLearningClubs.com in your city to recruit others for Network and Multi-Level Marketing (aka Pyramid Schemes). This is a movement! Movements stick around and usually don't go away until major changes takes place. So therefore, read this webpage closely as I break down how you and your family can move forward in 2019 and create the type of life that you can truly love. 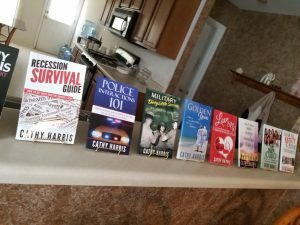 So that you can get a head start in your own community, I have 26 'easy-to-read' non-fiction books (which can be read by 12-year-olds and above) at AngelsPress.com, especially my 6 health books and 2 business books. It's time to fill up your e-readers with some wonderful material that you can refer back to -- as you go throughout this year. I was watching a rerun on Oprah's Master Class one weekend and it was her story. I love what she said when she made the statement "Life is about growth and change and when you are no longer doing that, it's time to move on to something else." That was so well said and timely for me and I am sure for many others also. If you continue to do things the SAME WAY in 2019, then you will continue to get the SAME RESULTS. Will you be happy with that? When I lived in Atlanta, GA for 20 years, I was known as "The Female With the Email, The Internet Queen and the Black CNN." That was when I had my own black news network, monthly calendar and e-newsletter, the "National Black Agenda Online." The e-newsletter was a force to reckon with for over 13 years. So for over 13 years, I proved my loyalty to the black community by reporting news from around the world. I even allowed African Americans to market their businesses in my news network, therefore, many were able to move forward and build their own empowerment networks. Gentrification and high taxes have forced many black families to relocate to areas, where they don't have any support systems. Without that support system, many have become criminalized by the justice system and many, many others have fallen deep into despair and hopelessness, especially because of eating GMOs (aka "Processed Foods"), which turns the brain off. Are You Ready To Take Bold Steps in 2019? Not only are black people living way below their means, but it's just past time that we come up with some type of alternative, to bring families back together again. Therefore, it's time to come up with some BOLD STEPS. Since leaving Atlanta in 2013, it has been my goal to build communities "offline" or "on the ground." My first year in Austin, TX in 2014, I attended 4 or 5 meetup.com meetings EVERY WEEK, so I know that using this social media platform, meetup.com, can bring together some powerful heavy hitters. Meetup.com offers everything from FREE CLASSES on Word Press, to Women's Empowerment Events to Holistic Conferences and other groups are THRIVING using this meetup.com platform. 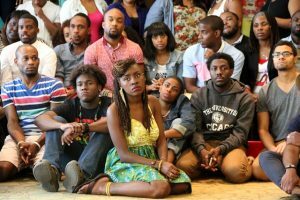 Black people are always the last ones in the room to get the memo -- that they can use this same type of social media platform to not just build a new economic base for them and their families, but they can REWIRE THEIR BRAINS and build the type of life that they can truly love. The strength of the black family depends on what we do next. 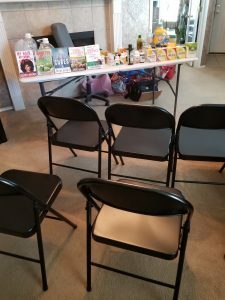 In 2018, our new network on the ground in my area, started a series of "Mobile Learning Clubs" for families in Austin, Killeen, San Antonio, and surrounding areas. 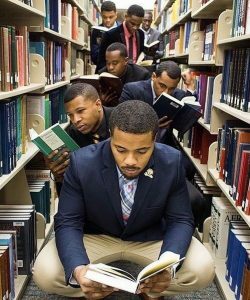 And we were successful in educating the black community. Up until June 2017, I knew nothing about growing foods and look at me now. 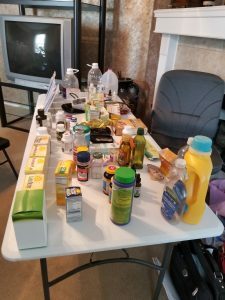 After turning my own home into a learning club - in just 6 short months, I created an entire movement around growing foods entitled "Virtual Organic Garden Clubs" (www.VirtualOrganicGardenClubs.com) movement. I also created my own Garden Club at CathyHarrisGardenClub.com and released a new book on how to grow organic foods "Overcoming Food Deserts in Your Community: How To Start A Home, School or Community Garden, Food Co-op and Food Coalition." My next book on gardening was released in January 2018, "Green Thumb At 60: How I Started My Gardening Journey With Raised Beds and Pots and Containers." Both books are available as e-books and paperbacks. I believe in setting goals and planning ahead so all families need to prepare now for the 2019 Spring Season. Read my books and be ready to start either a FRONT or BACKYARD raised bed garden or grow foods in pots and containers on your porch, patio, balcony, rooftop, in your kitchen or another room with grow lights. I am not bragging, but I am 62 years old so if I can learn all this knowledge around growing foods in just a few short months by turning my own home and car (listening to audiobooks) into a learning club, with just one household, imagine what we can do if we come together. We will be working with our new food growing initiative "Brothers Building Gardens" (www.BrothersBuildingGardens.com) to help boys and men (and women) become gardening coaches and consultants. I will volunteer to come into your home or business or give you a FREE consultation by phone or video and show you how to get started educating your family and your community. 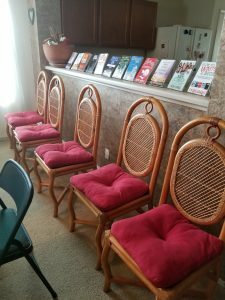 You can easily set up empowerment events (seminars, workshops, consultations/coaching sessions, etc.) right there in your own home (in-home) or business and GET PAID by using the "Meetup.com Platform." Do I have your attention NOW??? 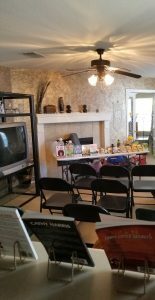 Personally, I will be offering 40% of all my profits from book sales (just like in bookstores), (I travel with 18 books sold at $10.00 each) to homeowners and business owners when I make presentations in their particular venues. This is definitely a WIN-WIN for everyone! Many families don't enjoy other people coming into their homes, but many do, so if you live in a clean, spacious home in a safe neighborhood contact us today. If you don't have a Homeowner's Association (HOA), you should not just be having home meetings and growing foods in your backyard, but also on your porch, patio, balcony, rooftop, in your kitchen, another room with grow lights, and even in your front yard as well. 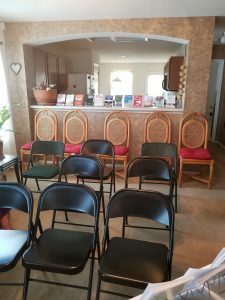 If you have a HOA, don't be afraid to have these meetup.com meetings at your home, because others do this all the time and they are making money doing it. Why have a home if you can't invite guests over when you want to? Email cathy@cathyharrisinternational.com or call (512) 909-7365 for a FREE consultation, so you can learn this process and start setting up events in your home or business for 2019. 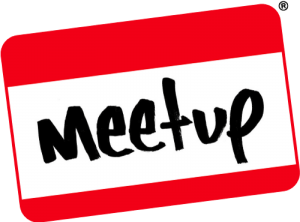 You can even do these types of meetup.com meetings not just in homes, but also apartments, duplexes, condos, etc. There is no one there monitoring how many people come into your home, whether it's an apartment, duplex, condo or single family home. You can get up to 30 to 60 people at one time and educate them. 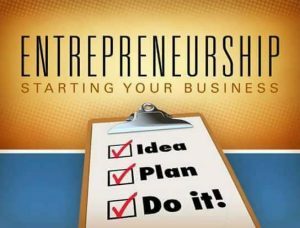 -Beauty Shops/Barber Shops/Storefronts (These venues is awesome to set up events to motivate folks into action). -Bookstores (We own very few of these. And the ones that we do have have their own networks and don't know how to expand). -Coffee Shops (You can meet your clients at these venues and give personal consulting or coaching sessions and stay as long as you like. They usually have FREE Wi-Fi). -Restaurants (We do own a few restaurants. These restaurants can close down once a week and educate the community if we pay them or give them part of our profits). -Hotels (We do own a few hotels (not many) so we need to set up this training and use these hotels when we have events). -Recreational Centers (They have rooms for rent). -Buildings with Rooms for Rent (We don't own any buildings to turn into business incubators to hold these meetings and training so we need to look for these types of buildings to buy or rent -- probably buy. We need to form black business districts by buying up blocks of buildings so let's talk to black investors in our cities). -Churches (Only a hand-full will be opened to this idea, so move your membership to those churches) . -Libraries (Libraries are state-owned, but if they are in your community, we need to utilize them for training). 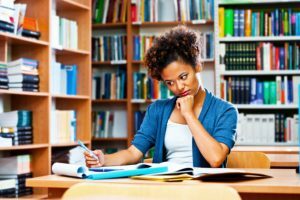 Most libraries will only allow Non-Profits to hold events there, so if you are a For-Profit business, they might turn you away. However, in my old city, Austin, TX, they were opened to you having events there, but many are usually filled up. I was at a meetup.com at a library one month and I saw the organizer of the event collect almost $300 in donations by having just 25 people in the meetup.com. You are not supposed to ask for donations at libraries, but no one is actually monitoring you. 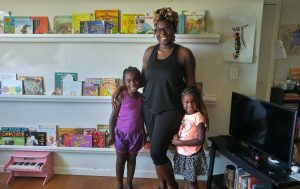 Why so much money at a library -- people in the group were so grateful to have a reason to come outside of their homes -- other than work, church, etc., that they gave generous donations. Many people are followers so they will not set up these meetup.com meetings on their own, so if you set up meetup.com meetings, you will be generously rewarded with donations. However, you need to remember that libraries are owned by the state (aka "Government"), so we can't count on these venues when trying to educate black families. Three (3) out of four (4) Millennials are ending up back at home. Unlike Baby Boomers and Generation X's, Millennials will not remain in workplaces and just file EEOC workplace complaints like we did. These workplace complaints don't usually go anywhere anyway -- not for most black people. They just send you on a journey into despair and hopelessness, while others that you had to train move up the career ladder. So therefore, it's time to say no to workplaces and/or build businesses on the side, which will also bring you more happiness, while you occupy your thoughts with something good. Black people are the most talented people on this planet! Let's use our skills and talents to teach our own people! We have to go further than homeschooling our kids. Homeschooling is a good first start, but SELF-EDUCATION will be key. Most people don't have time to go to day or night school to learn skills, so if you set up this training in your home, business, or some other venue, many will be grateful. 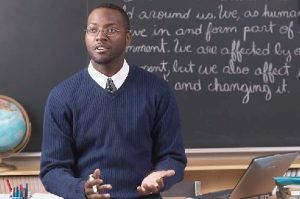 Just some of the ways you can educate yourself for a new field include – 2 Year Community Colleges; 4 Year Colleges and Universities; Technical Schools; Adult Education Classes; Online Internet Courses; Correspondence Courses; Unemployment Office; Small Business Administration (SBA.gov); Small Business Development Centers (SBDC); Service Corps of Retired Executives (SCORE.org) – just to name a few. Don't forget that 80% of college students today don't even work in their majors, yet they are left paying student loans for some field they don't even work in for the next 30 years of their lives. And if they fail to pay back student loans after 180 days - 1) Their wages can be garnished; 2) Their credit rating will suffer; 3) Their income tax returns may be seized; 4) They may be sued, and 5) They may be denied a professional license. Now that they have taken music programs, Physical Education (P.E.) and other programs out of most schools today, we can give this training ourselves right in our own homes, businesses and venues. In 2019, it's time to turn the table and look out for our own families. You have to admit these are good strategies and solutions for the entire family. In September 2017, I took this plan across the country in workshops in homes and businesses -- just to name a few). If you would like to add your city to the list then reach out to us. 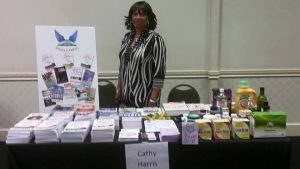 Meanwhile, I will be utilizing an email marketing campaign for those who like to read so sign up all your friends, family members, neighbors and colleagues for my mailing list at www.CathyHarrisInternational.com. For those who are visual, I will be utilizing Facebook Live, Twitter.com, Instagram, YouTube, Periscope, Vimeo and other social media platforms, especially meetup.com groups -- to educate families. -I am prepared to teach all of the above myself, but we need other Speakers and Trainers to give the following 'easy-to-set up' workshops and training or get trained in our "Train the Trainer" Workshops so that you can offer your OWN LINE of training/workshops -- especially Millennials and Generation X's. Email cathy@cathyharrisinternational.com or call (512) 909-7365 for more info or FREE consultation. Presentations in Home -- "Linda's Learning Club"